Sight, smell, hearing, taste, and touch—as they were celebrated during the Enlightenment and as they are perceived today. Blindfolding children from birth? Playing a piano made of live cats? Using tobacco to cure drowning? Wearing “flea”-colored clothes? These actions may seem odd to us, but in the eighteenth century, they made perfect sense. As often as we use our senses, we rarely stop to think about their place in history. But perception is not dependent on the body alone. Carolyn Purnell persuasively shows that, while our bodies may not change dramatically, the way we think about the senses and put them to use has been rather different over the ages. Journeying through the past three hundred years, Purnell explores how people used their senses in ways that might shock us now. And perhaps more surprisingly, she shows how many of our own ways of life are a legacy of this earlier time. 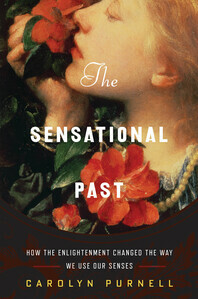 The Sensational Past focuses on the ways in which small, peculiar, and seemingly unimportant facts open up new ways of thinking about the past. You will explore the sensory worlds of the Enlightenment, learning how people in the past used their senses, understood their bodies, and experienced the rapidly shifting world around them. In this smart and witty work, Purnell reminds us of the value of daily life and the power of the smallest aspects of existence using culinary history, fashion, medicine, music, and many other aspects of Enlightenment life.